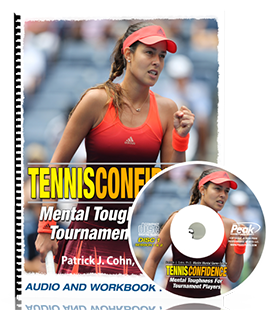 In “Sports Psychology Sessions with Doc,” Dr. Patrick Cohn answers a question from a young tennis player who loses emotional control on the tennis court after making mistakes. Hitting a bad shot is not frustrating in and of itself. You’re reaction to bad shots makes them frustrating. Think of the mistake as the trigger. Your reaction to the trigger as the source of your frustration. What is creating the frustration? 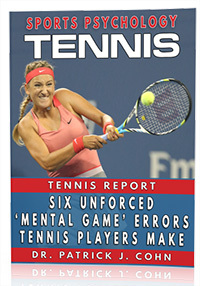 Watch the video to see what mental game tips Dr. Cohn gives to help tennis players improve their mental game.